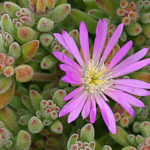 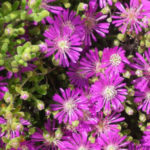 Drosanthemum floribundum is a hardy perennial with dazzling metallic purple flowers in spring each year. 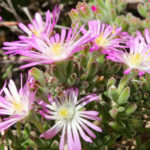 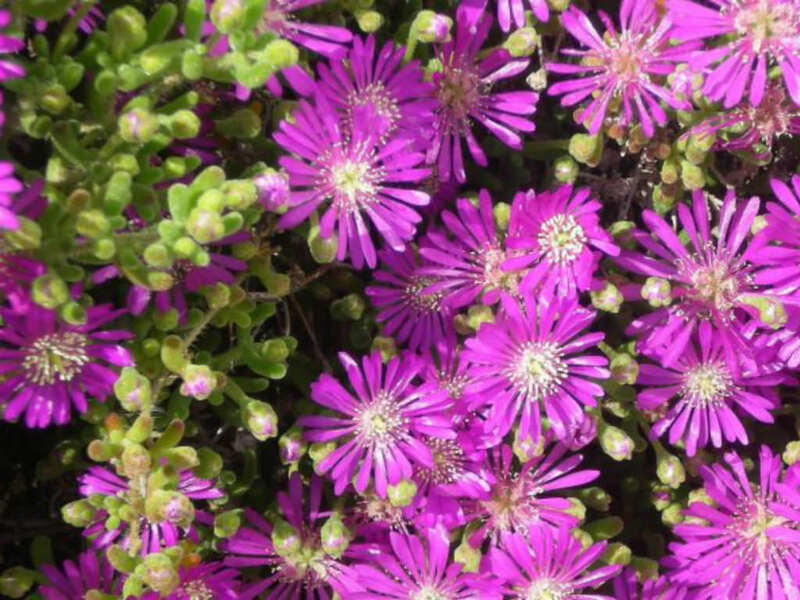 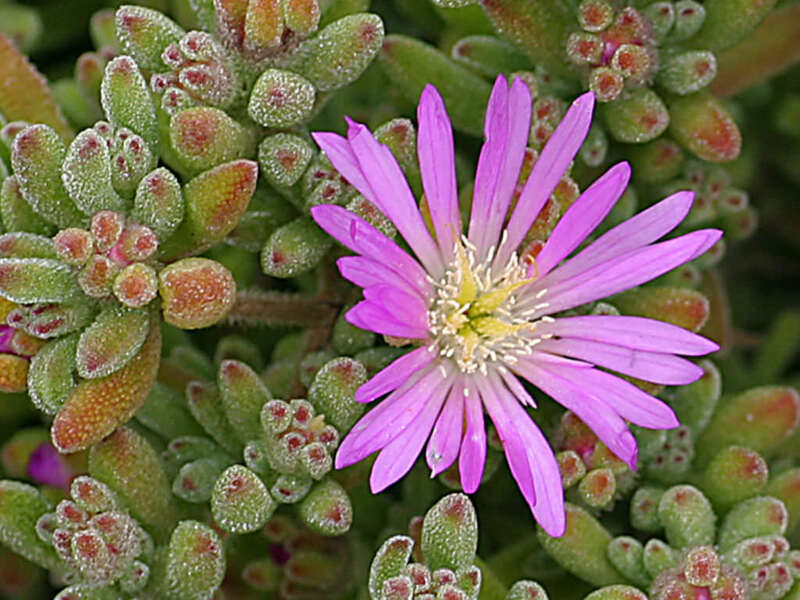 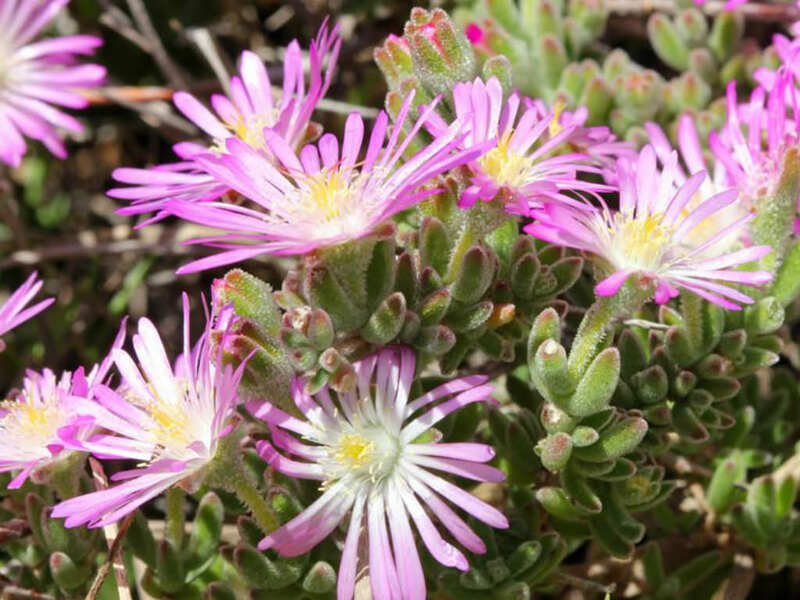 It is a low-growing, ground-hugging plant with small, stubby, light green, succulent leaves. The typical mesemb flowers usually open about midday and close in the evenings. 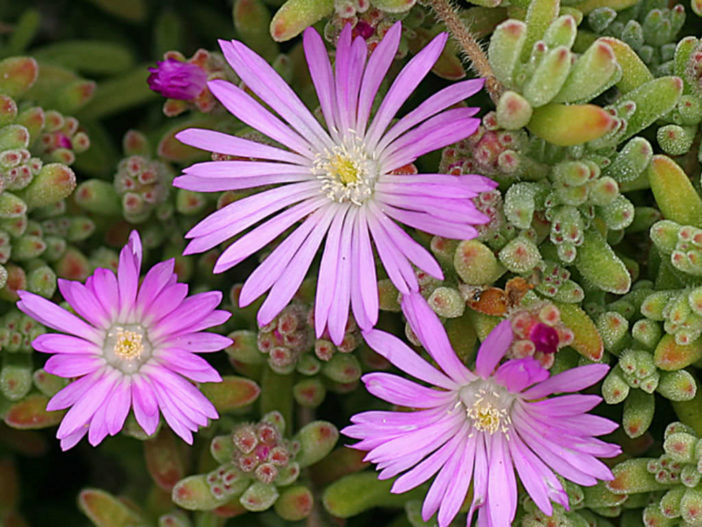 On dull, cool days they remain closed.